Welcome back to this week’s Style Steal! Today we’ll be taking a look at the styles worn in B.A.P’s MV for their new track, 1004. The predominant style of the MV is simple, chic, and effortlessly classic, and the colour palette is mostly kept to monochrome. Let’s take a look at how to recreate the general look worn in 1004! 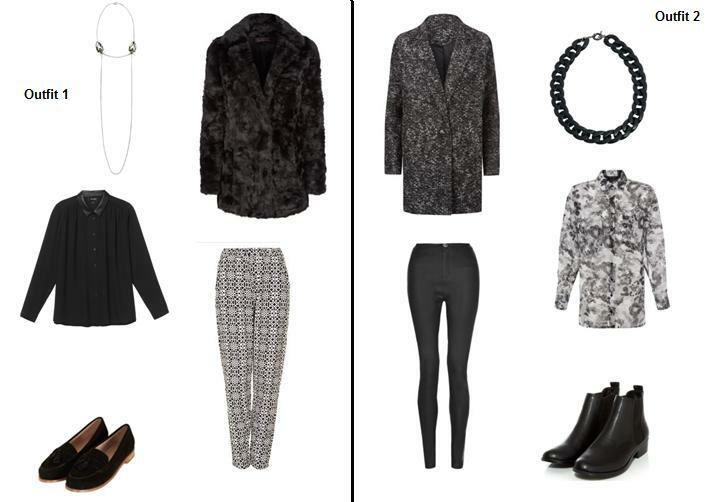 If greyscale isn’t your thing, to make this look super wearable you could break up the monochrome with a pop of colour! You could choose to wear a pair of trousers in a jewel colour, or a colourful statement necklace to layer over a shirt. To keep it fairly true to the MV style, keep any colours added on the darker side and accessories silver! What do you guys think to the style in 1004? Would you wear this style too? Let us know! Haven’t seen the MV yet? Check it out below!